We hosted a team building event at school last night for the Klingenstein Center, part of Columbia University’s Teachers College. 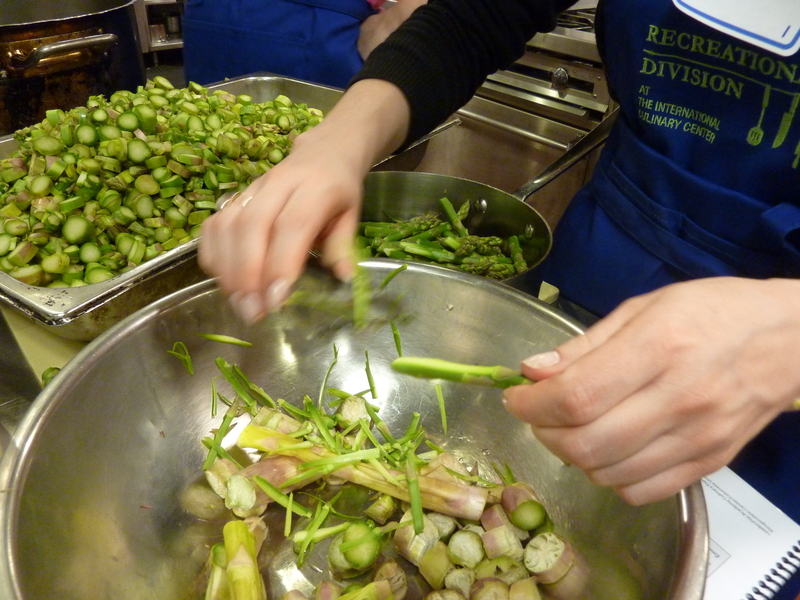 The group made a 3 course meal and then sat down together to enjoy the fruits of their labor. I was not excited about the prospect of selecting a wine when I learned the first course was asparagus soup. Asparagus, along with artichokes, eggs, garlic, cumin, chocolate and several other tasty things, can be tricky to pair with wine. Certain chemicals in the asparagus can make your wine taste grassy, vegetal, tinny or just plain gross. When I saw the finished product, though, I knew I had to come up with something. 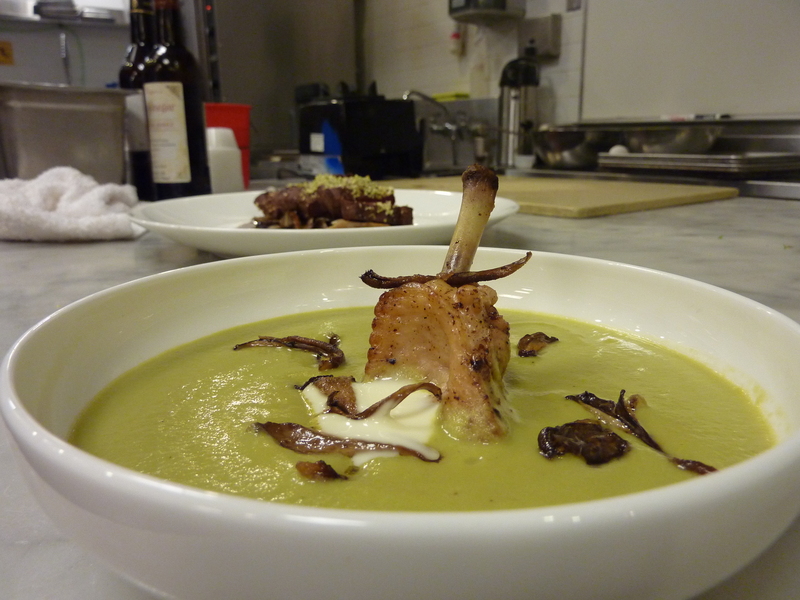 Asparagus soup garnished with a chicken lollipop, wild mushrooms and creme fraiche. It was too pretty to go wine-less. The general rules when selecting a wine to match these dreaded spears are as follows: go with something crisp and refreshing (think Albariño or Pinot Grigio), try a sparkling wine (don’t go too yeasty here, maybe Cava), opt for an aromatic varietal (Grüner Veltliner is a good choice), and avoid tannic or oaky wines. Ignoring all this, I chose a Chardonnay. Specifically, I selected the 2006 Kumeu River Village Chardonnay. Now to be fair, this is a wine from New Zealand, with notes of ripe peaches, flinty minerals and a distinct nuttiness, as opposed to an oak bomb that you might find from California. While some of this wine (1/3) saw some oak, most was aged in stainless steel. The nuttiness was a perfect match to the earthiness in the asparagus and the mushrooms. The ripe fruit notes worked really well with the sweet chicken. The acidity worked perfectly, too, thanks to the addition of the crème fraiche. Sometimes it pays off when you don’t follow the rules.